I have been working in the construction industry since 2005, and I love it. The best part of my job is meeting my customers expectations. I work for a company called, “Archways And Ceilings.” What we do is specialize in making the difficulty of curved framing, a thing of the past. We bend wood! 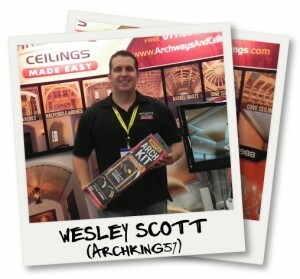 Archways and Ceilings supplies pre-fab domes, groin vaults, barrel vaults, cove ceilings, and archways.